Your sanity. And your success. They can absolutely, 100%, definitely, coexist. As a Life and Business Success Coach, I support hustling entrepreneurs in busting through their comfort zones to find empowerment on the other side. Interested in working with me? The thing that is going to move your business forward is the energy you bring with you. The who you are BEING underneath all the doing. 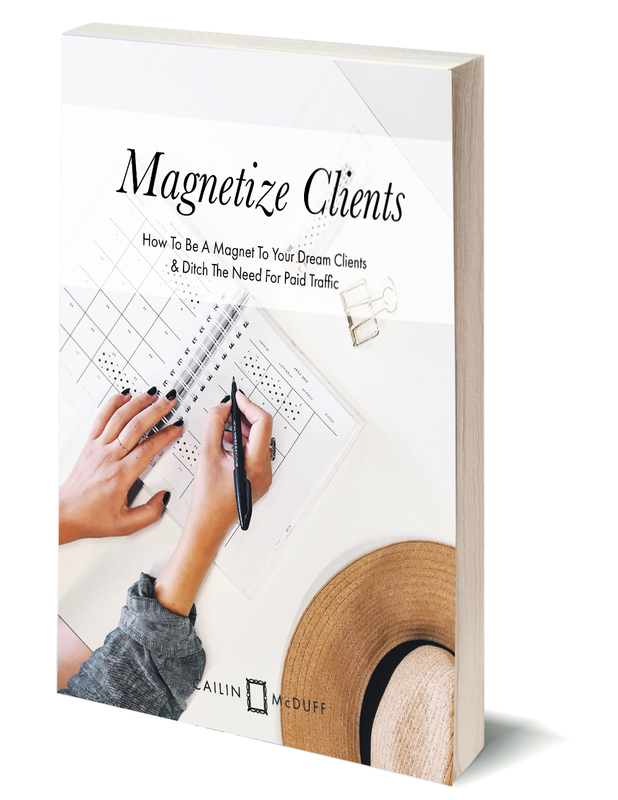 I want support you to tune in to that place inside of you that is magnetic and turned on - so you can get clients with ease, build your business and make more money. With me? Get the free guide here. First things first, that's totally normal if you're up to big things. Tune into the talk I gave at Inner Nerds to learn everything I know about what it takes to to choose courage over fear, so you can live a life that is worthy of you. © 2018 Cailin McDuff Coaching, LLC.